Metal Roofs are extremely durable and lightweight but need proper maintenance to last. Most painted metal roof finishes will peel, chip, fade, scratch, or chalk over time, leading to rust and other problems. Nutech Paint’s Metal Roof Restoration Coating system address the issues that plague metal roofs. Our Metal Roof Restoration system Consists of a 3 coat application; fist, a coat of primer formulated specifically for metal roofs followed by two coats of NXT Cool Coat, or Tileflex. Our Metal Roof Restoration Primer ? Metal Roofs coated with NXT Cool Coat will be improved greatly. 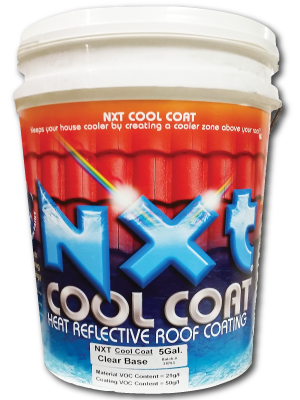 Not only will your home look Great with a freshly painted roof, NXT Cool Coat will protect your Roof and improve its function. 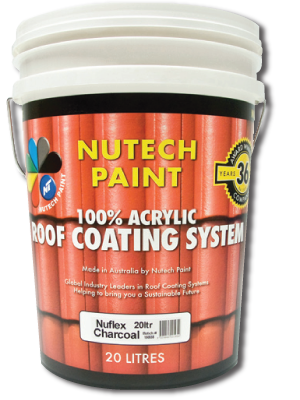 Nutech Paint’s Nanotechnology ensures that water will be repealed, dirt wont stick and your roof wont rust nor will it support the growth of mold and algae. NXT Cool Coat utilizes light reflective pigments to reflect light to hinder a metal roof’s ability to absorb heat and then radiate that heat into your home; giving your family a cooler home while using less energy to keep it cool. 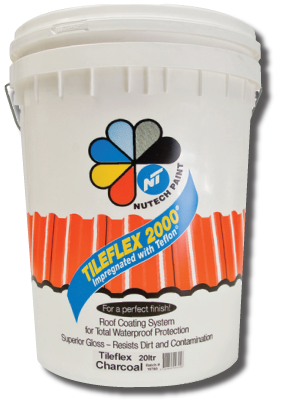 Tileflex can bring your weathered Metal Roof back to new, and keep it new for longer; available in 36+ standard colors and can be custom matched, it is a specially formulated roof paint with high gloss retention and incorporates Nutech Paint’s self-cleaning Nanaotechnology the repels water, dirt, mold, algae and Rust. Let us know where you are and we’ll send you a list of all official and licensed Nutech Paint applicators in your area. Interested in working with Nutech Paints? If you’re a contractor interested in expanding your services and broadening your customer base Nutech Paints CA can help you. © Copyright 2018 Nutech Paints CA. All rights reserved.